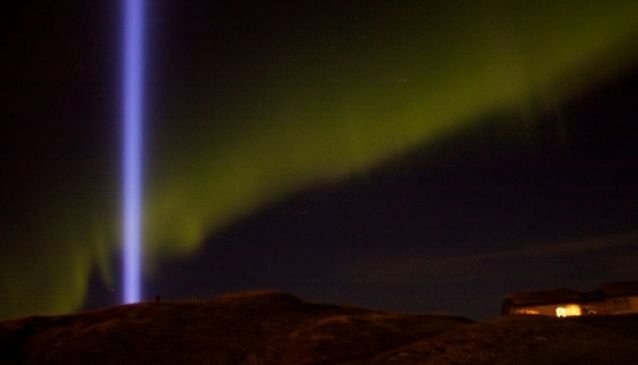 If you're in Reykjavik between October 9th and December 8th you'll be lucky enough to see the magnificent beam of light. Go visit Viðey Island and get up close! Friðarsúlan translates as 'the peace column', but in English is known as the 'Imagine Peace Tower', a spectacular memorial to John Lennon created by his widow, Yoko Ono. 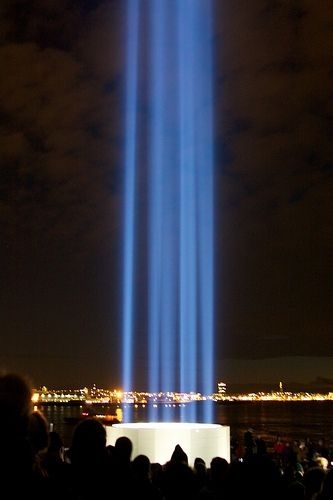 Projecting a tall beacon of light high into the sky from a white stone monument, the Imagine Peace Tower is near Reykjavik on Viðey Island in Kollafjörður Bay. 'Imagine Peace' is carved around the base in 24 different languages in reference to Lennon's song, 'Imagine'. 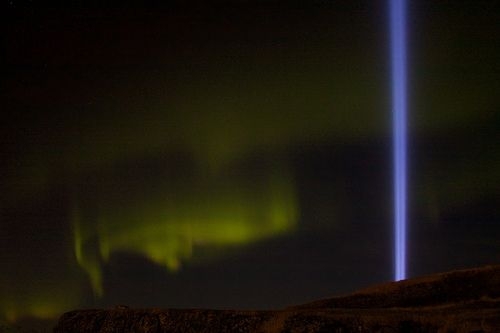 The tower uses Iceland's unique geothermal energy grid to shine 15 searchlights into the sky, aided by prisms that act like mirrors. On a clear night the light reaches an altitude of at least 4000m. The base is also a wishing well and buried underneath are over 5000 written wishes collected by Ono for another project, 'Wish Trees'. 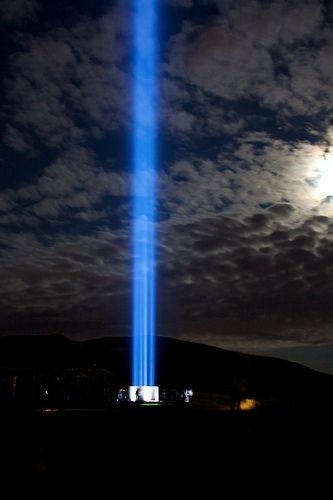 The Imagine Peace Tower was first unveiled on what would have been Lennon's 67th birthday on October 9, 2007. The tower is lit each on this date until December 8, the date he was shot. 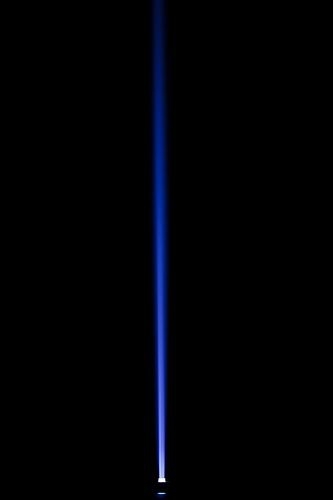 It also lights up on winter solstice for one week, on New Year's Eve and on spring equinox for one week.